I hope that you will all be in happy mood. Today, i am sharing a small tip of windows for you. I am here to tell you that how to you hide your folders & files in windows(Xp, Seven, Vista). When we install new windows on our computer then many of files and folders are hidden and we can,t access those type of folders. There is a method to show a hidden file which i will tell you below. 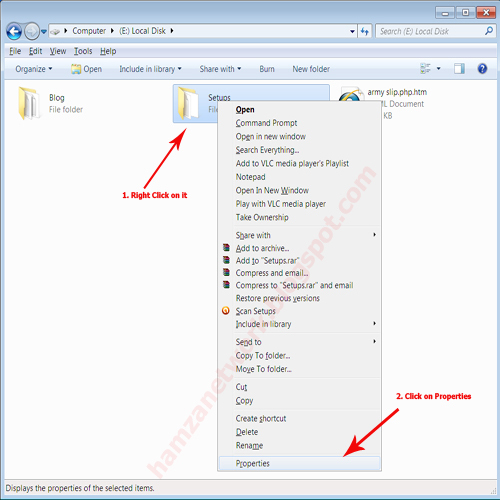 There are many softwares which are able to hide files in windows but i will teach you a manual method for hiding your files and folders. 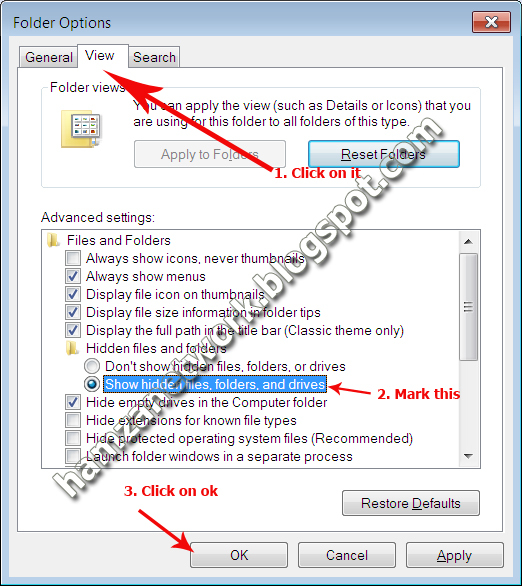 I will tell you that how to hide folders in windows 7 and method of hiding folders on other windows like Xp, Vista is same. Below is a full method to hide & show your files and folders. 1. Go to your desired folder, Right Click on it and click properties. I want to hide a folder which name is Setups. 3. 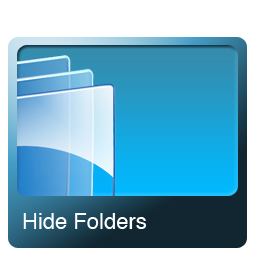 Now your folder has hide and if you want to show your hidden folder then Go to My Computer, Click on Tools and then Folder Options. Now a box will appear, Click on view tab and Mark Show hidden files and folders. 5. Now your Hidden file will show on your target. 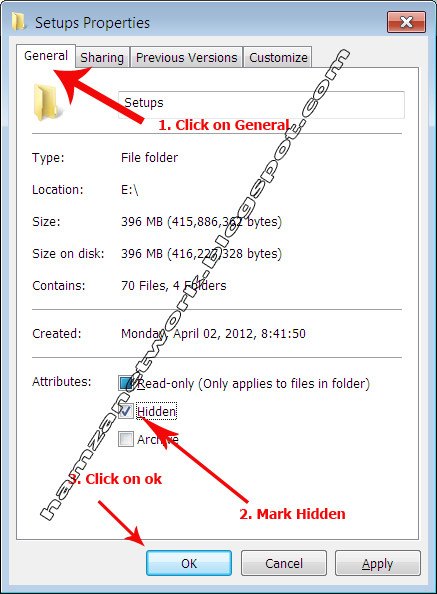 If you want to unhide your Folder then follow above method and unmark hidden. thank you for documenting the steps, it works in my windows 7.